A David and Goliath story about citizens banding together to defend their communities against forced eviction in Rio before the World Cup and Olympics. When FIFA gets embroiled in a corruption scandal, it’s no longer a scandal – it’s just business as usual. 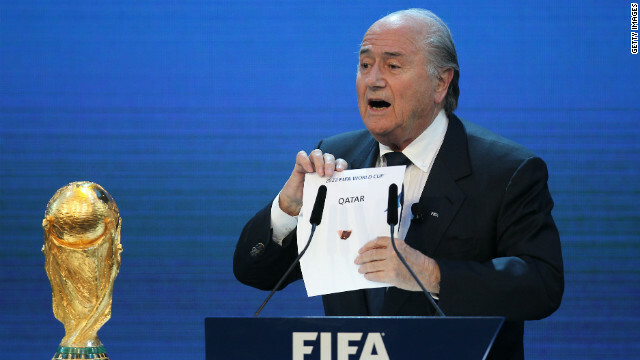 Scandal is what we’ve come to expect from the International governing body of football. This week the UK Telegraph is reporting new allegations that former FIFA vice-president Jack Warner accepted bribes of $2 million from a Qatari firm linked to the country’s successful bid for the 2022 Games. Being ranked 26 of the 175 nations on Transparency International’s Perceived Corruption Index, Qatar and FIFA make for comfortable bedfellows. While there were a number of human rights violations in Brazil for the 2014 World Cup, including my own beating by military police there, they pale in comparison to what we are already seeing in Qatar, a country where flogging and stoning are legal under their Sharia law. The new stadiums are being constructed by an indentured labour force of South Asian migrant workers. These workers face serious exploitation and abuse, live in squalid accommodations, and and are suffering exceedingly high levels of fatal workplace accidents. Over 1,200 migrant workers have already died in Qatar since the World Cup was announced. © 2014, SEVEN GENERATIONS PRODUCTIONS LTD.